Easy Oven Roasted Corn on the Cob is my new favorite way to cook corn on the cob! It is so quick and easy. 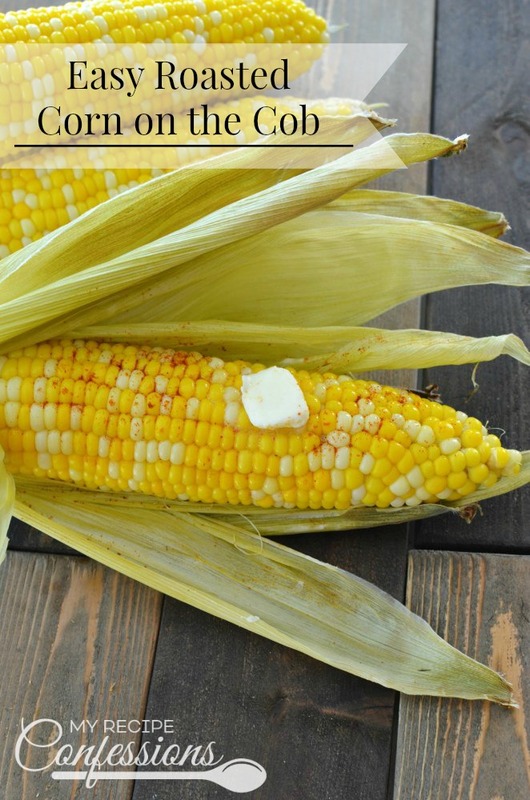 You don’t even have to shuck the corn before baking. This method is so easy, you are crazy if you don’t try it! I love corn on the cob. 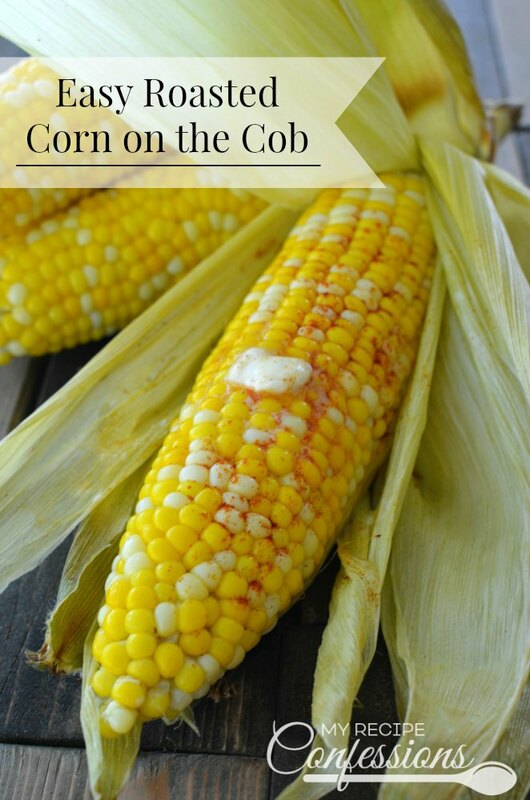 Who doesn’t love a sweet and buttery ear of corn? 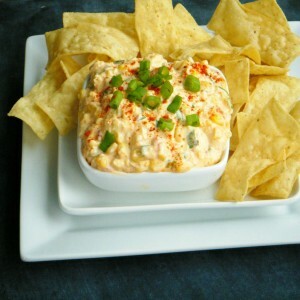 As much as I love corn on the cob, I hate shucking the corn almost as much! It is such a pain and makes a huge mess! 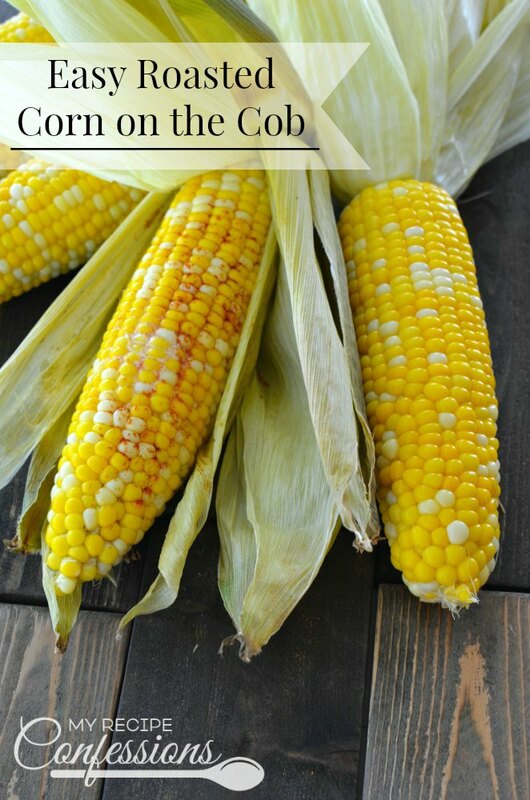 My kids always volunteer to shuck the corn, but they make a huge mess when they do it. Then I am left to clean up the mess. When you bake the corn in the oven, you don’t have to remove any of the husks before cooking. Just put the corn on the oven rack and roast it. 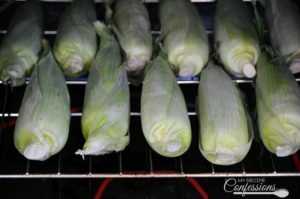 Once the corn is cooked, the husk and silk come off so easy it is almost magical! 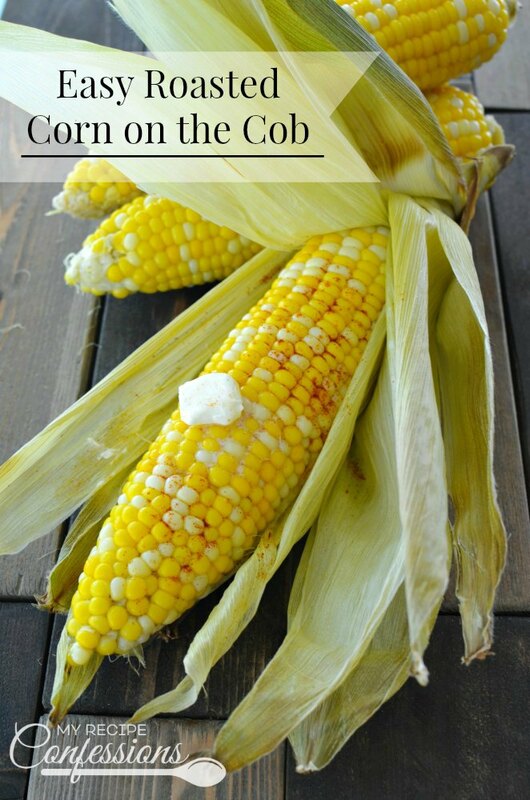 My kids love to eat corn on the cob, some of them will eat 4 to 5 ears in one sitting. 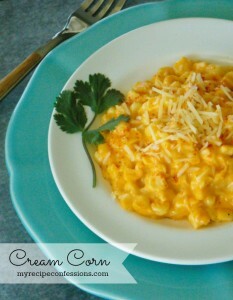 There are nights that I just don’t want to deal with the mess that comes with corn on the cob. 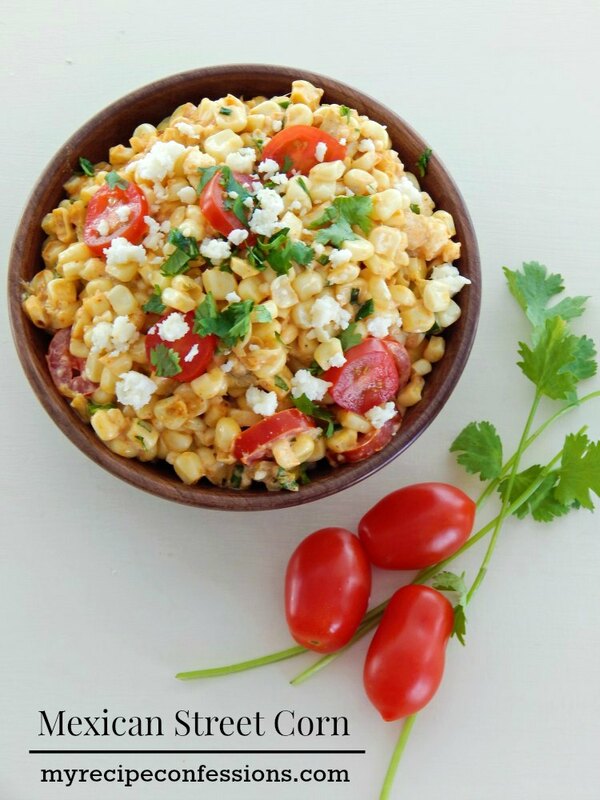 With this Easy Roasted Corn on the Cob method, we can eat it every night without all the mess. Cut off any excess silk that is hanging out of the top of the husk and any loose husks. 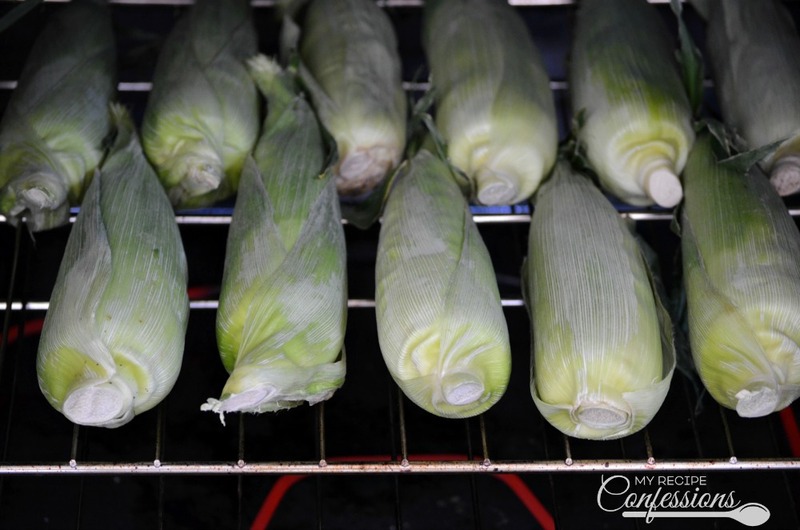 Once the oven is pre-heated, place the corn on the oven rack and bake for 25 minutes. 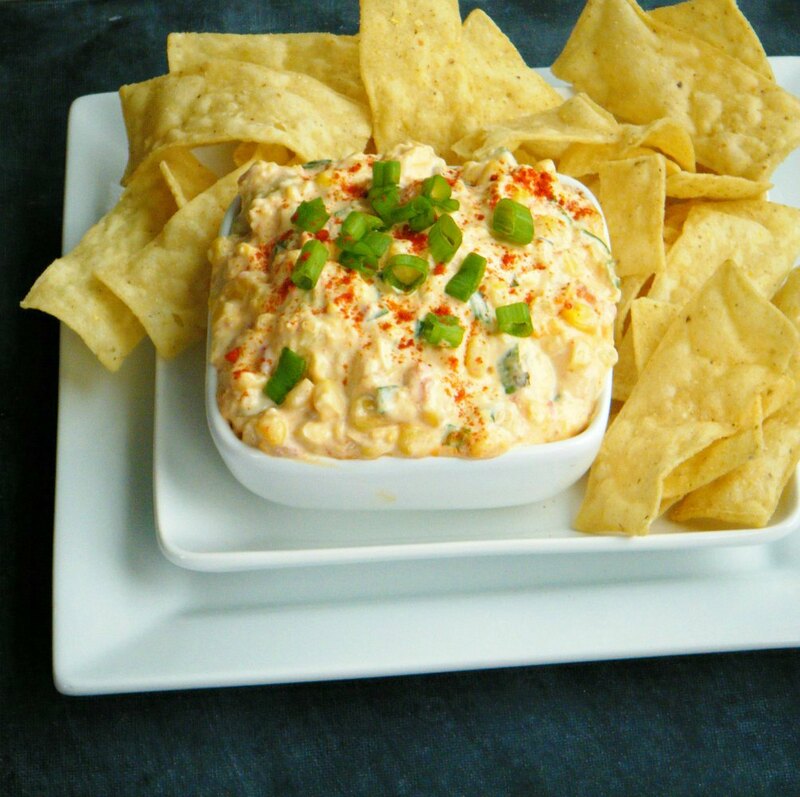 Remove the corn from the oven and let cool for 5 minutes. 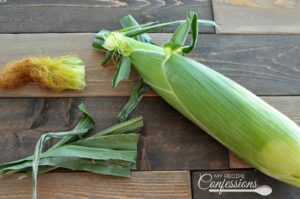 Remove husk and silk from corn. Apply a little butter and salt and pepper if you like and enjoy!